posted: April 27, 2017 by: Dr. Jarden Tags: "Clinic Specials" "News"
Our technician, Christine, has trained her dog, Riley Jake, to be a therapy dog. 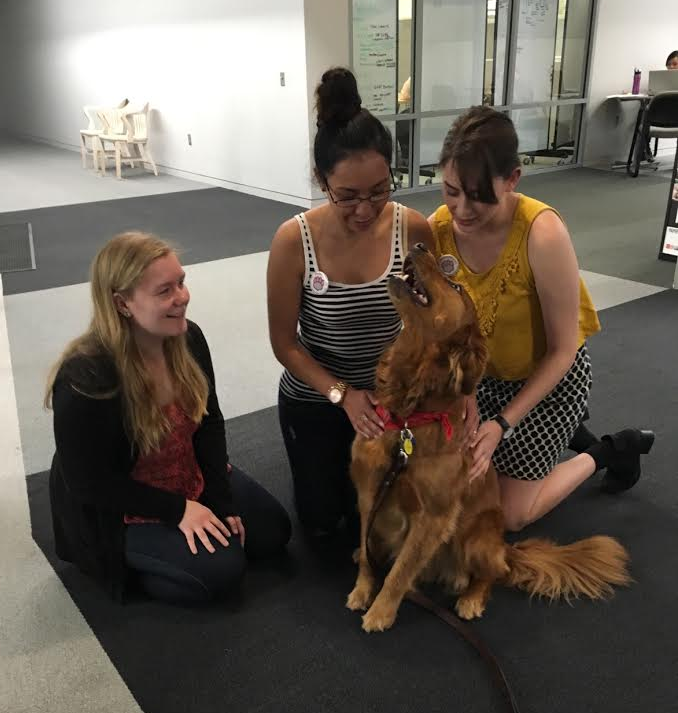 Recently, Christine and Riley were on OSU’s campus to help the students de-stress during finals week. 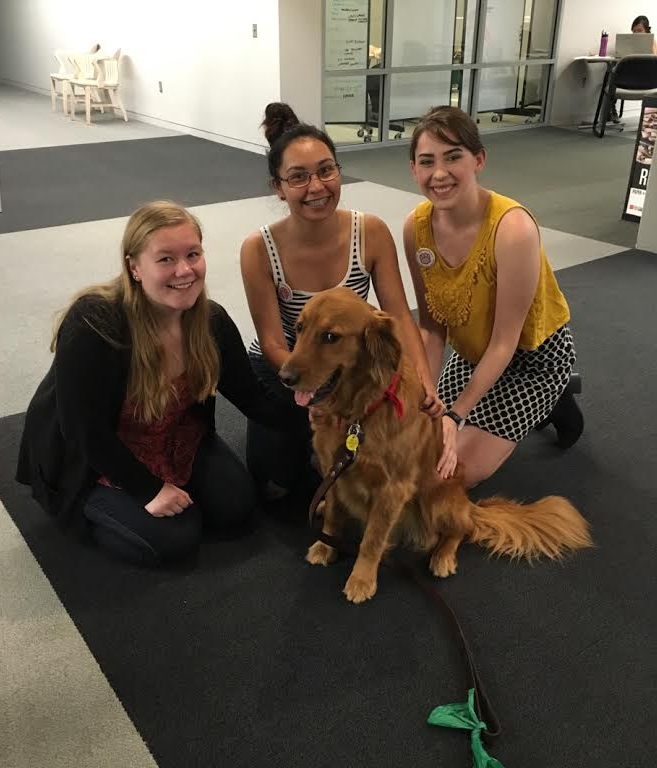 Christine and Riley went to one of the libraries on campus and Riley mingled with the students and gave them a short break from studying. Therapy dogs allow people to pet and interact with them. Petting animals has been shown to decrease blood pressure in humans and release serotonin, prolactin and oxytocin - “feel good” hormones. Therapy dogs are different from service animals, who assist disabled people in daily life with tasks. Riley went through a lot of training to be a therapy dog. He completed the American Kennel Club’s STAR (socialization, training, activity, responsibility) puppy training. Then at a year of age he completed the AKC Canine Good Citizen program. Next, he went into therapy dog class and at about 2 years tested for, and passed the Therapy Dog International test. Christine says that one of Riley’s biggest challenges was getting him used to being around children. It’s very common for dogs to be nervous around a certain type of person, whether it’s children, men, women, or even people in a piece of clothing like hats. It’s took Riley some time and training, but he feels more comfortable around children and enjoys being petted by them. Because Riley is part of Therapy Dog International, Christine and Riley can now go visit nursing homes, college campuses, hospitals, or other places where people are in need of comforting and calming. If you are interested in going through training and having your dog certified, you can find more information at their web-site.